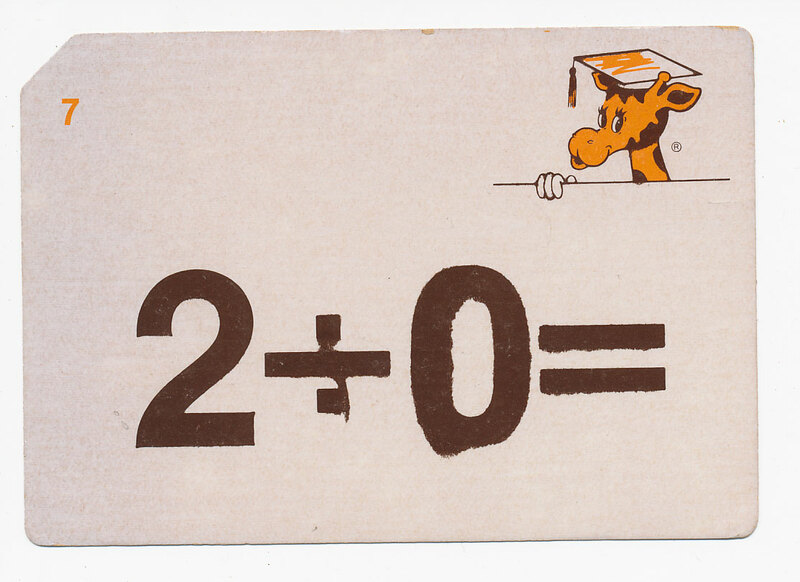 Flash card with a giraffe tutor illustration. 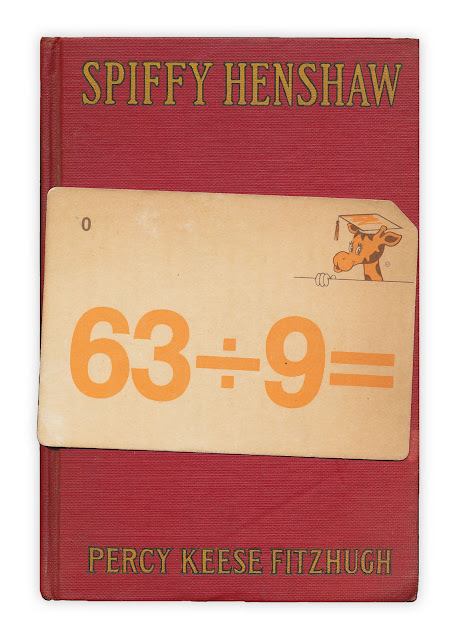 Found in "Spiffy Henshaw" by Percy Keese Fitzhugh. Published by Grosset and Dunlap, 1929. That looks, for all the world, like Geoffrey the Giraffe, Toys R Us' mascot. John, I thought the same thing and mentioned it on the Facebook update. For all I know, the card could have come from a Toys R Us set. 2 divided by zero is not zero but rather undefined, contrary to what's in the upper corner on the other side of the card. @John - I had those exact flash cards, and you are correct, they are/were a Toys-R-Us brand, and that is in fact Geoffrey the Giraffe, circa 1978-83. Okay, seriously? Dividing by zero on children's flash cards?! YOU CAN'T DIVIDE BY ZERO!